The Meadowlark Nature Festival offers 77 unique tours and activities to choose from. 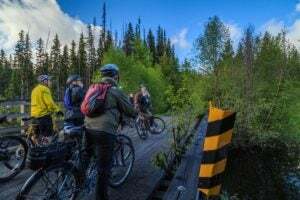 Experience hiking, cycling, canoeing, bird watching, art walks film screenings, writing sessions, photography workshops and more. 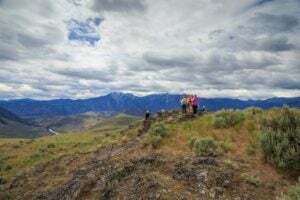 Immerse yourself in the natural beauty and diversity of the Okanagan and Similkameen Valleys from our unique desert and wetland marshes to our grassland hills and alpine meadows. Join prominent naturalists, painters, biologists, writers, ecologists, geologists, Aboriginal cultural leaders, photographers, and conservationists for engaging and entertaining guided tours. 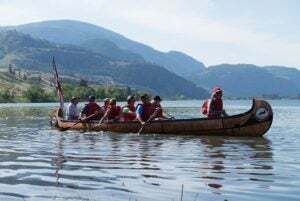 Since 1998, Meadowlark Nature Festival has presented interactive, multi-disciplinary events that explore and celebrate the spectacular natural environment of the Okanagan Similkameen. Taking participants from Canada’s unique desert environment in the south, to the alpine meadows high above the Okanagan and Similkameen valleys, the Festival connects people with nature, engaging and inspiring them to protect the unique habitats and species of this region and indeed our planet. The festival is geared to appeal to a wide cross-section of people and interests, and so events include canoe trips, guided hikes, film screenings, Aboriginal culture, inspirational speakers, bird watching tours, back-country horseback riding, geological tours, astronomy events, art exhibitions, photography, writing and painting workshops, historic hikes and more. There is truly something for everyone! Each event is led by an expert in their field such as a biologist, botanist, historian, geologist, naturalist, aboriginal knowledge keeper, astronomer, herpetologist, artist, etc. and groups are kept small so participants get an informative and entertaining, up-close-and-personal, one-on-one experience. Throughout its history, Meadowlark has exposed thousands of local and visiting participants to conservation and environmental initiatives, encouraging their involvement and bringing them together to steward our natural environment and find common ground on which to celebrate it. The Festival helps to spotlight the Okanagan Similkameen as a major tourism destination in general and also offers insight and information about more specific locations that are of interest to eco-tourists, artists, birders, outdoor sporting enthusiasts such as hikers, cyclists, canoeists and others.